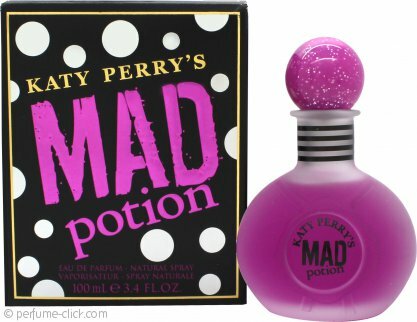 Mad Potion by Katy Perry is a playful and flirtatious scent for women. The singer had her breakthrough in 2008 with the album Pop Rock and released her first fragrance Purr in 2010. The success story continues with Mad Potion, where vanilla is the main accord. The deliciously intoxicating potion begins with sweet notes of lush peony, green apple and vanilla orchid. It settles in to the heart of jasmine, bourbon vanilla and musk. The sensation of musk and vanilla is prolonged in the base accented with seductive amber. Katy Perry launched Mad Potion in 2015.